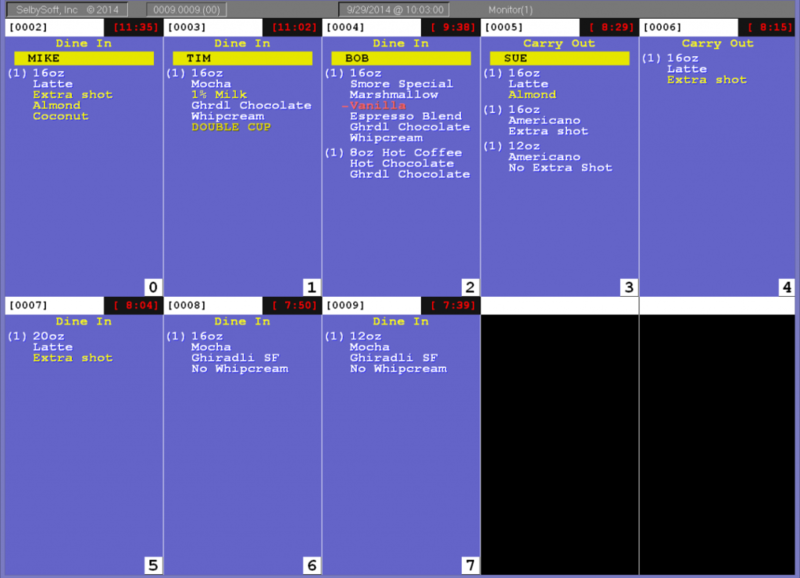 We have added three new features to our barista & kitchen monitor systems. 1) A new way of tracking voided orders on the monitor. If an employee voids an order out of SP-1, the voided ticket shows on the screen and must be bumped. This will reduce mistakes as well as decrease the possibility of employee theft. 2) To Do Lists. This is an exciting one! 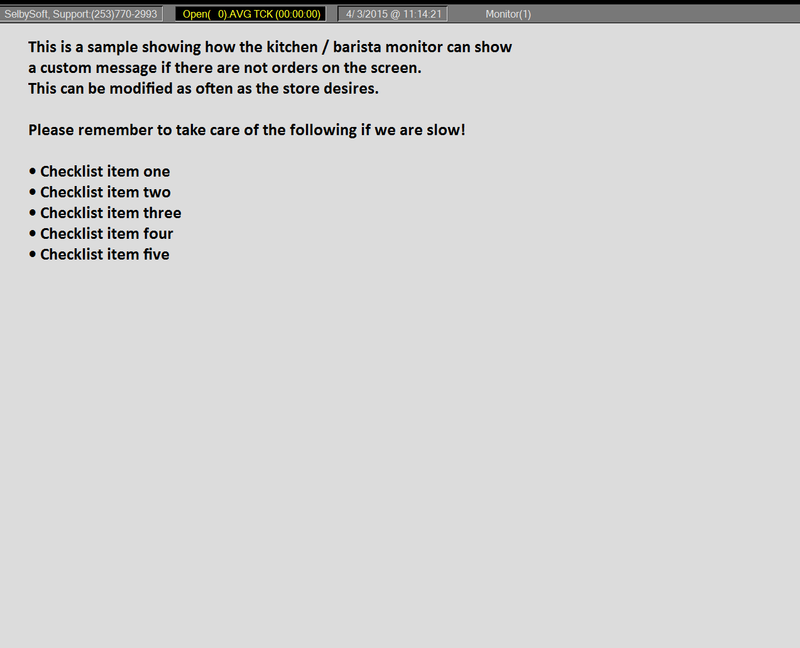 When the barista monitor is empty, the screen will time out to a To Do list. The timeout setting can be changed at the store level as well. If an order is taken, then the To Do list reverts back to the normal barista monitor screen. This is a great way to provide a custom reminder to your employees throughout the day. 3) Average Time. This is another exciting feature. In the upper bar, we will now show you a count of all orders that are outstanding as well as an average bump time for the day. This bump time is based on the amount of time it takes to bump both new and edited tickets. This is an example showing the new bump average.